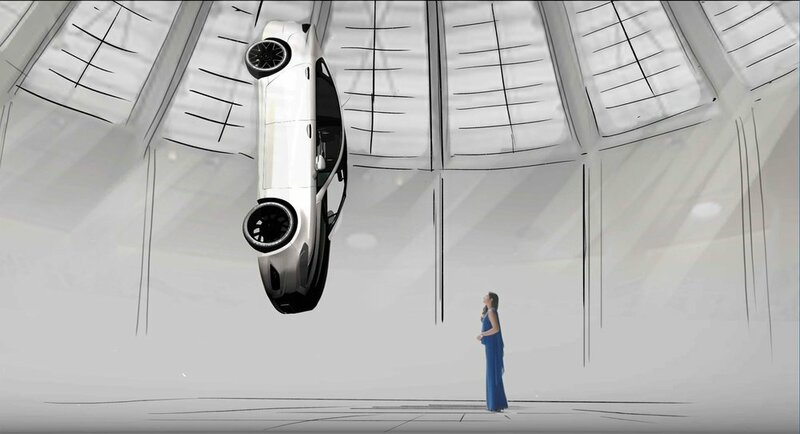 Even prior to the project being formally confirmed, we started development of the suspended car concept using a stand-in Ford Fusion. 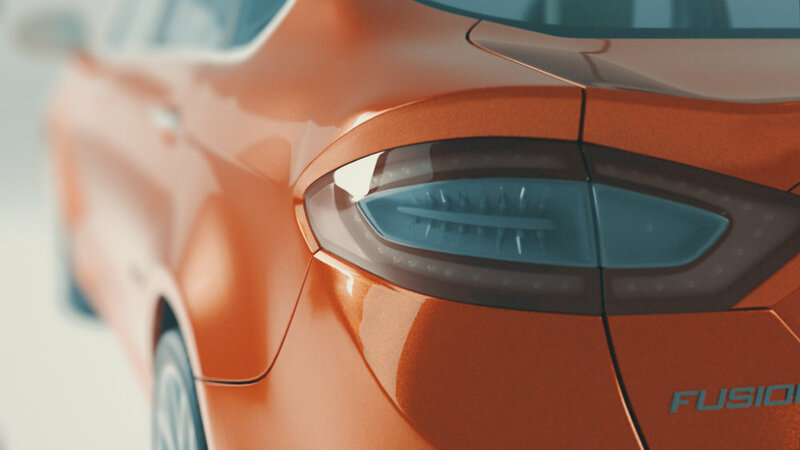 From the outset, the brief called for languid shots and using Depth Of Field (DOF) and lighting effects where possible. After all, this was a dream-like world. The design evolved into a gallery-like, modern, minimalist, and spacious room with a large roof window.